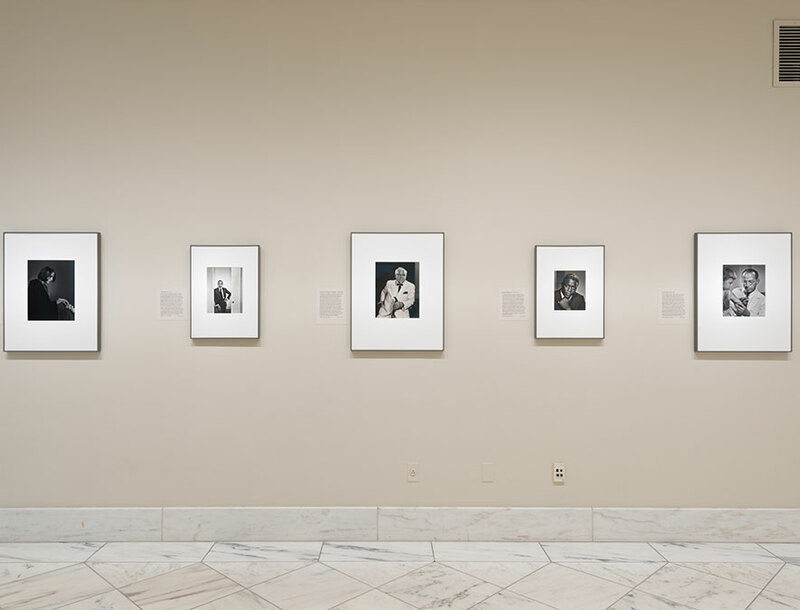 In celebration of a major gift to its collection of more than 100 portraits created by renowned photographer Yousuf Karsh (1908–2002), this exhibition featured iconic photographs of Americans who have distinguished themselves in fields as diverse as business, medicine, entertainment, politics and the arts. Among the portraits included were those of artist Georgia O’Keeffe, physician and virologist Jonas Salk, singer Marian Anderson, actress Grace Kelly, businesswoman Elizabeth Arden, architect I. M. Pei and first lady Eleanor Roosevelt. 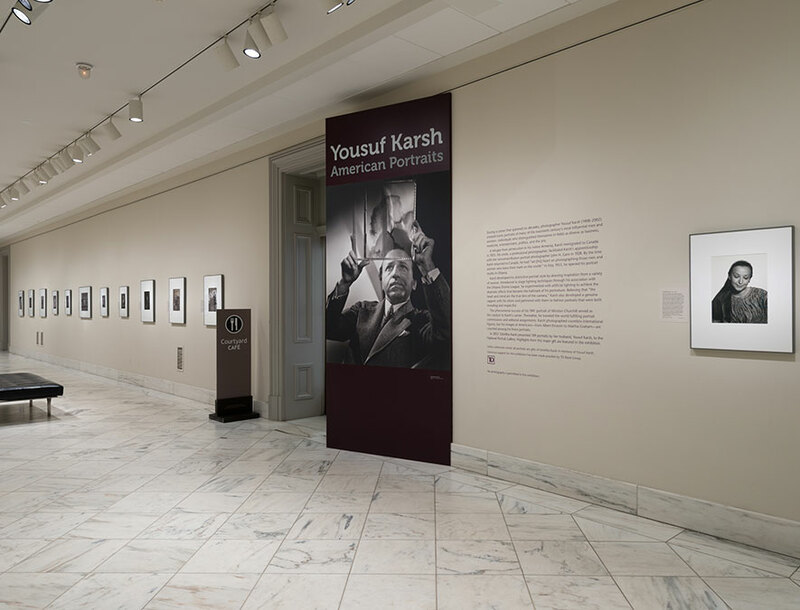 “Yousuf Karsh: American Portraits” was the museum’s first exhibition devoted entirely to the work of this internationally recognized portrait photographer, and was presented in two installations. The curator of this exhibition was National Portrait Gallery Senior Curator of Photographs Ann Shumard. Yousuf Karsh: American Portraitstravels to four locations in the U.S. from February 2018 through May 2019. Please see the tour itinerary below to learn if the exhibition is coming to a location near you. For more information about Yousuf Karshor other traveling exhibitions, please contact Marlene Harrison, Traveling Exhibitions Specialist, at 202-633-8287 or HarrisonMR@si.edu. Please contact the museum for this information. 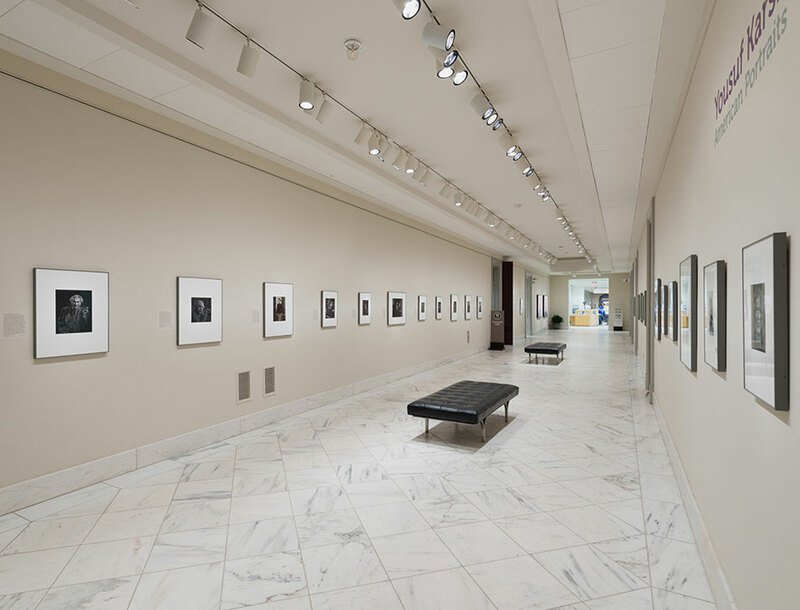 View of "Yousuf Karsh: American Portraits." Photo by Mark Gulezian.